Young people going to college or university this autumn have been strongly encouraged by Public Health England (PHE) to get vaccinated against meningitis and septicaemia (blood poisoning) due to the MenW bug, one of the most aggressive and deadly strains of meningitis. Cases of MenW have been increasing year-on-year, from 22 cases in 2009 to over 200 cases in the past 12 months. These illnesses can be deadly and survivors are often left with life-changing disabilities. 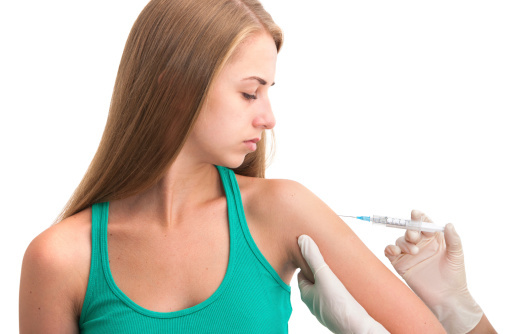 GPs will be writing to all 17- and 18-year-olds (school year 13, born from 1 September 1997 to 31 August 1998) to encourage them to get vaccinated at their surgery as soon as possible. 19-year-olds who missed getting vaccinated last year (anyone born from 1 September 1996 to 31 August 1997) can also be vaccinated by their GP. PHE is also advising anyone aged up to 25 who is starting university to get vaccinated by their GP. The vaccine not only protects those who are vaccinated, but also helps control the spread of the disease among the wider population. This is the second year the vaccine is being offered to this age group. Dr Mary Ramsay, Head of Immunisation at PHE, said: "Since 2009, there has been a rapid increase in cases of MenW across England, with students particularly at risk. Protecting young people from this potentially deadly disease as they embark upon one of the most important periods of their lives is vitally important. The vaccination will save lives and prevent lifelong devastating disability. "We are encouraging all eligible 17- and 18-year-olds who have just left school to get vaccinated - particularly those heading to college or university. Young people and those around them should be alert to the signs and symptoms of meningitis and septicaemia. Get vaccinated as soon as possible, remain vigilant and seek urgent medical help if you have concerns for yourself or friends." Liz Brown, Meningitis Now Chief Executive, said: "Up to a quarter of students carry the bacteria that can cause meningitis compared to one in ten of the general population. In the UK every university could experience at least one case of meningitis among its students within the first term. "It’s vital that those going to uni this autumn are not complacent about the threat of meningitis - we urge them to take up this lifesaving vaccine before they go. Vinny Smith, Chief Executive of Meningitis Research Foundation, said: "We’re encouraging students going to uni for the first time to do something great today. By getting this free meningitis vaccine from your GP you’re not only protecting yourself from a potentially deadly disease, but also protecting others by stopping the spread. "It’s also vital to watch out for your friends if they’re unwell. If people do have meningitis it can be like a very bad hangover that quickly gets worse. It can be deadly so act fast and get medical help."